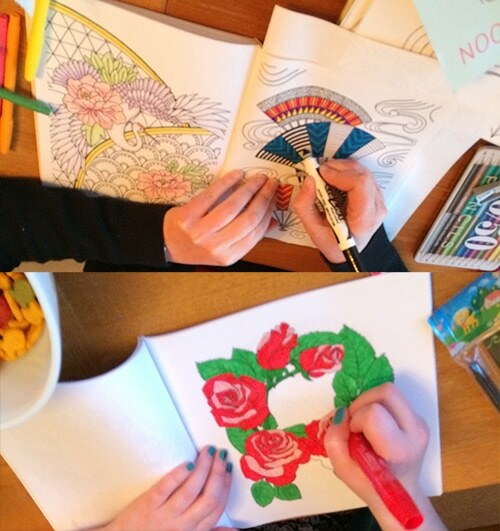 Here’s how to put together a coloring book party with your friends! 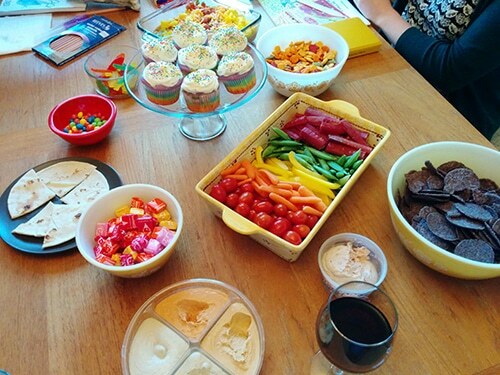 That’s all you really need to throw a coloring book party! 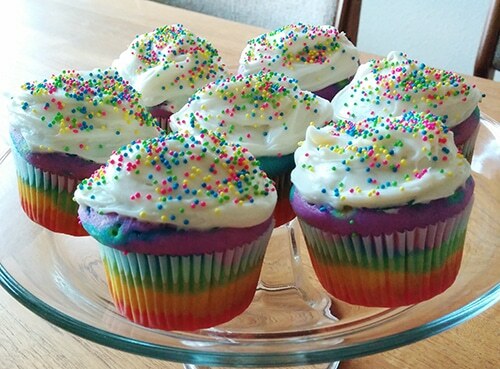 Of course, you’ll probably want to serve refreshments, and we have some ideas for rainbow-themed food and drinks next. The great thing about an activity party is that the guests entertain themselves! That means no schedules, no party games, and no pressure on you. Guests can plop down and color, wander off to grab a snack, or roam around and check out other people’s artwork. Take pictures of everyone’s masterpieces and share them later in an online album — it’s easy to get so focused on your own coloring that you don’t see what others are working on! Encourage guests to take home their finished pages and show them off. A coloring party is perfect for all ages, but if you’re inviting kids, make sure to have age-appropriate coloring books (the new ones intended for grownups can be very detailed and challenging). Offer kid-friendly drinks like juice in different colors, so you don’t risk an epic tantrum when you’re trying to explain why they can’t have the Skittles vodka. 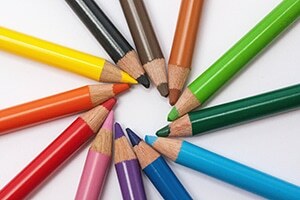 You don’t have to have party favors, of course — the goal of a coloring party is simply to get together, relax, and have fun. But if you’d like to send your guests home with a little something, or if your coloring party includes kids, here are a few ideas. Don’t worry too much about planning every little detail — a coloring book party is supposed to be a relaxing, low-key gathering, so you can keep it casual. Got any colorful party tips for us? Share them below!